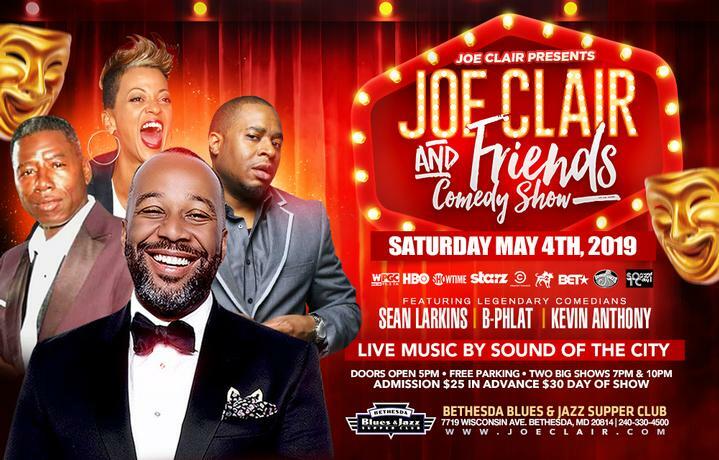 LIVE...every 1st Saturday of each month, Joe Clair and Friends Comedy Show is the best comedy in the DMV. Bringing you a night of laughter, Joe will host featured comedians: Sean Larkins, B-Phlat and Kevin Anthony. Live music by Sound of the City.